If the Denver Broncos choose to pursue a quarterback in the first round of the NFL Draft, they’ll likely be competing with teams like the New York Giants to find the next star. 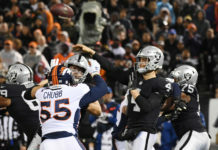 While much of the pre-draft conversation has involved Denver taking Drew Lock – the Broncos may not get that opportunity. Recent reports indicate that the Giants might not be in love with Dwayne Haskins and could opt to take Drew Lock with the No. 6 pick instead. According to Todd McShay, of the top quarterback prospects, Haskins is the most likely to fall. “It will be interesting to see. I keep hearing the Giants may not be in love with Haskins,” McShay recently said on GetUp!. If the Giants do decide to go with Lock over Haskins, it could be yet another move in a series of decisions made by Giants general manager Dave Gettleman that only propels opposing teams forward, while further sinking the G-Men. First, Gettleman opted to take running back Saquon Barkley, allowing the cross-town rival Jets to take Sam Darnold. Then, Gettleman traded Odell Beckham Jr. to the Browns for the 17th overall pick, safety Jabrill Peppers and the 95th overall pick. Now, the Broncos could be the benefactors of the third Gettleman blunder. Some Broncos fans will argue that this is bad news and that Lock is the better quarterback option in the 2019 class. However, the media tends to disagree. 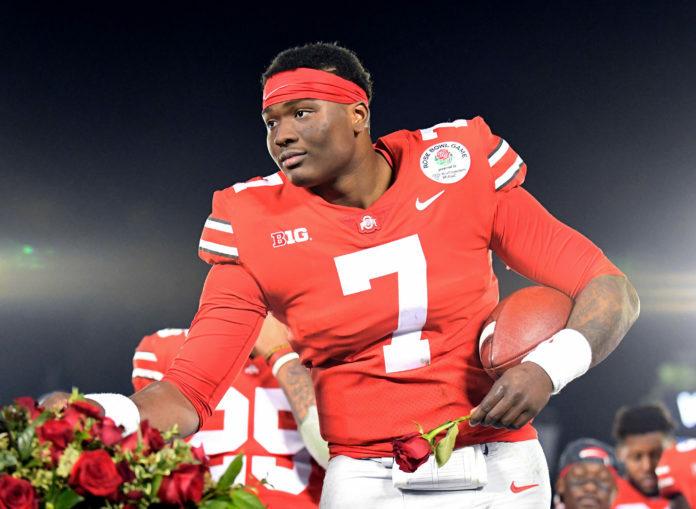 Bleacher Report’s Matt Miller, as well as the NFL Network’s Daniel Jeremiah and Lance Zierlein, have Haskins ranked ahead of Lock on their respective big boards. Meanwhile, Bucky Brooks (NFL Network), Dane Brugler (The Athletic), and ESPN’s duo of Mel Kiper and Todd McShay, have Haskins as the top quarterback in the class – ahead of Kyler Murray. While there isn’t much debate that Lock is the better athlete, Haskins is clearly the more accurate quarterback and may have the highest football IQ in the entire draft. In 2018, for the first time, Lock completed more than 60 percent of his passes for just under 3,500 yards, 28 touchdowns and eight interceptions. Haskins, meanwhile, completed 70 percent of his passes for 4800 yards, 50 touchdowns and eight interceptions. While accuracy was also a concern for strong-armed quarterbacks Patrick Mahomes and Josh Allen, Lock doesn’t have appear to have the same skyscraper-esque upside that they each had as prospects. It also sounds like Dwayne Haskins checks all the boxes in the locker room. According to former Ohio State speedster and fellow draft prospect Parris Campbell, Haskins took an ‘extraordinary’ leadership role in 2018. 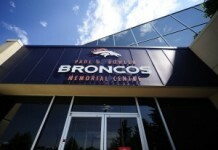 “He took the bull by the horns on this team,” Campbell said in an interview with the NFL Network. 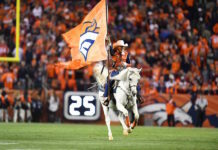 Adding more smoke to the fire, the Broncos are bringing Haskins out to Denver to meet with him this week. So, at the very least Denver is vetting the former Buckeye. Obviously the future is unpredictable and trying to guess what teams will do is like throwing darts at a board you can’t see. We have no clue which quarterbacks will be on the board when the No. 10 pick rolls around – and even that is based on the assumption that the Broncos will stay put. But if Denver does take a QB, and it is Haskins, the Broncos faithful should be ecstatic and send a thank you note to Gettleman and the Giants.